HMD announced on Tuesday a new list of Nokia phones. In keeping with the already announced Nokia 6.1 (test coming soon!) We have the Nokia 5.1, Nokia 3.1 and Nokia 2.1. The high-end phone starts here at $ 220, and the price drops from there. Every Nokia phone is worthy of note because they are all part of Google's Android One program. That is, they run Android assets and receive monthly security updates. Nokia promises two years of major OS updates and three-year security updates for everything. It's really hard to find good, cheap smartphones, and with this setup HMD seems to have closed the market. Is it just me, or is it alarming that as the price rises, the battery gets smaller? That does not make sense. Anyway, first comes the Nokia 5.1th This is an aluminum unibody device with a 5.5-inch, 2160 × 1080 LCD for $ 189 ($ 218). You may have noticed from the resolution that it's a 18: 9 display, and along with the rounded-off display corners, it looks more like it like a trendy flagship even than the Nokia 6.1 (which still has a 16: 9 display) Unlike the Nokia 6.1, the 5.1 (and every other phone we cover today) has an old-school micro USB -Port. The Nokia 5.1 comes with a SoC called "MediaTek Helio P18," which I have never heard of before.On the side of MediaTek are listed only Helio P10 and Helio P20, so it is unclear what this SoC actually is.The press release from HMD says that de r Helio P18 "40% faster" than the Snapdragon 430 in the latest Nokia 5. We know that it has eight cores and runs at 2.0 GHz, but there is not much more information. If we assume the P18 slots between Helio P10 and P20, it should be based on Cortex A53 just like these SoCs. The P20 is built on a 16nm manufacturing process, and the P10 is built at 28nm, so place your bets on what the P18 is. We have asked HMD for more information and will update it when it arrives back. The 5.1 is the only phone announced today with a rear fingerprint reader. Everything else relies on the use of a manual unlock screen. There is also NFC, a MicroSD slot, a headphone jack and stereo front speakers. The Nokia 5.1 will be available from July 2018 "for an average retail price of $ 189 ($ 218), with two RAM / memory configurations – 2GB / 16GB and 3GB / 32GB – and three colors : Copper, Blue and Black HMD does not yet talk about distribution, but we can make some well-founded guesswork based on the datasheet.The Nokia 5 has three variants called "APAC, EMEA & HK", "LATAM, AU & Taiwan" and "India" so that it is safe in these regions, at least in some countries. 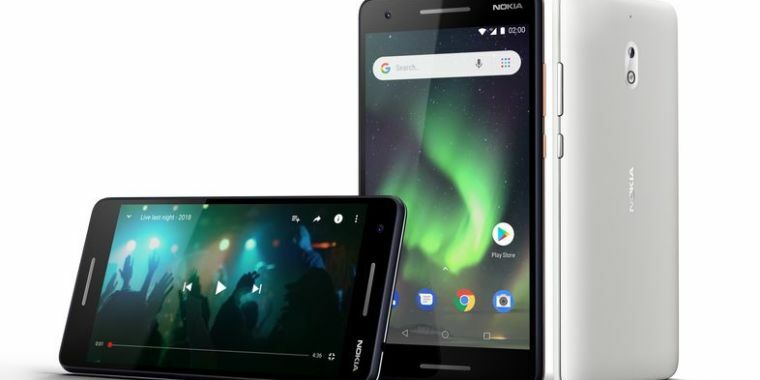 There is something cheaper the Nokia 3.1, which apart from the specification downgrades also has the fingerprint reader, the stereo speaker setup and the aluminum unibody for a price drop to 139 € ($ 160) .The sides here are still aluminum, but you're stuck with a plastic back. There are still the 2GB / 16GB and 3GB / 32GB RAM and memory configurations, but now the SoC is a MediaTek 6750. This still sounds like a nice upgrade from last year's Nokia 3-HMD press release that it's 50% faster. The display is smaller and lower resolution: 5.2 inches with a 1440 × 720 resolution, which provides for an extra high 18: 9 aspect ratio. You still get a MicroSD slot and a headphone jack, but only the "APAC & EMEA" version gets NFC. 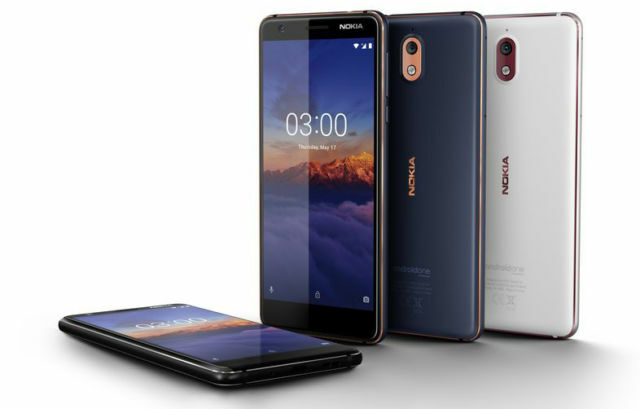 HMD notes that the Nokia 3 was the "most successful model" the company released last year. The Nokia 3.1 has the versions "APAC & EMEA", "LAM & NAM" and "India", so these regions should be looking for a launch. There are three colors – blue / copper, black / chrome and white / iron, and the first launch is June 2018. There is still a MicroSD slot and headphone jack, but unfortunately there is no NFC. You're actually getting stereo speakers that are not on the Nokia 3.1. The Nokia 2.1 with a Qualcomm processor and a price listed in US dollars on HMD's datasheet actually comes to the US. The versions are named "APAC & EMEA", "LAM & US" and "India". As an ultra-affordable Android Go phone, the Nokia 2.1 fills a nice gap in the US HMD lineup. The company's other Android Go phone, the Nokia 1, never made it to the US. Watch for this one July 2018.